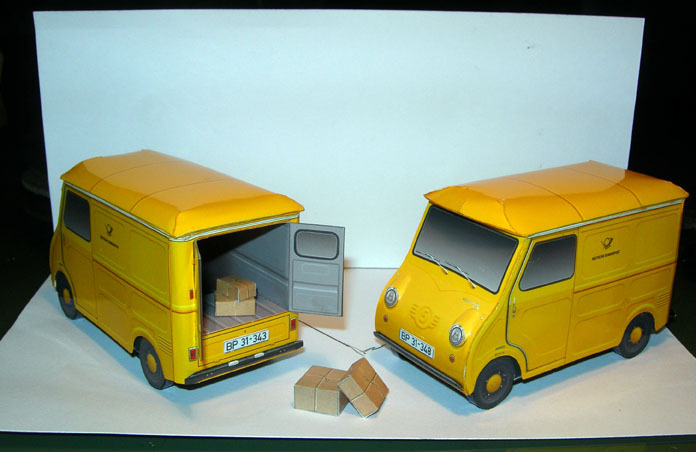 Deutsche Bundespost had been using three-wheel Tempo delivery vans. 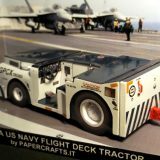 When the Tempo went out of production, a new vehicle was required. 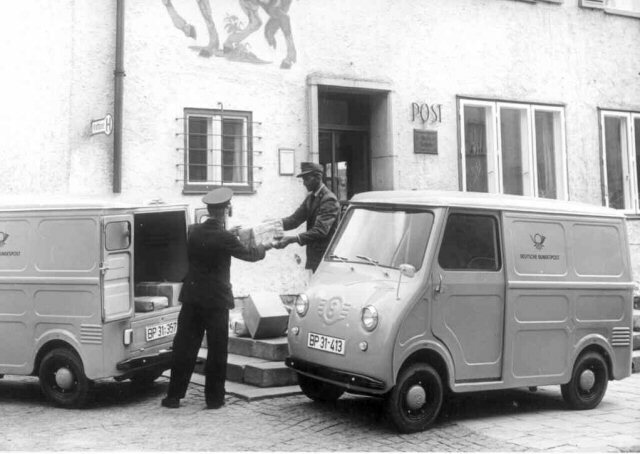 Glas (GmbH in Dingolfing) adapted the basic Goggomobil (a little four passenger, two-door car) to meet the postal specifications, and the Kleintransporter (little van) was created with a larger 398 cc engine. 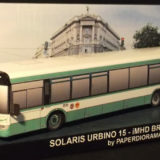 Of 3.665 Kleintransporters built between 1957 and 1965, 2.000 were taken by Deutsche Bundespost. 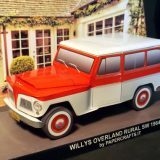 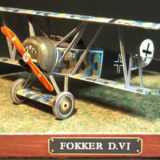 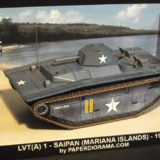 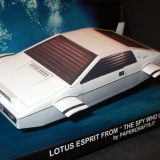 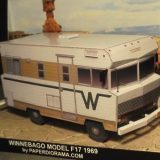 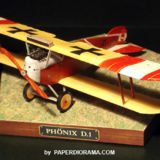 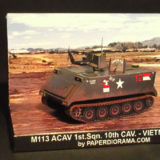 Stay tuned on Paperdiorama.com for brand new paper models! 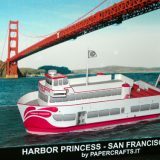 A new dress for Paperdiorama!